Max and I were counting his animals and grouping them into piles. 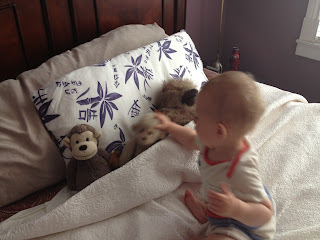 And we discovered that he has 5 stuffed monkeys (including a finger puppet). 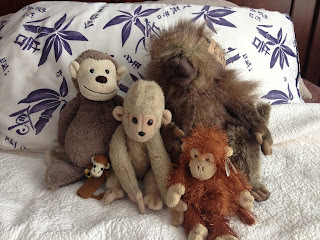 So we got them all on the bed and sang the 5 Little Monkeys Song. Throwing them off, one at a time was Max's favourite part. We tucked the monkeys into bed when they were done jumping. 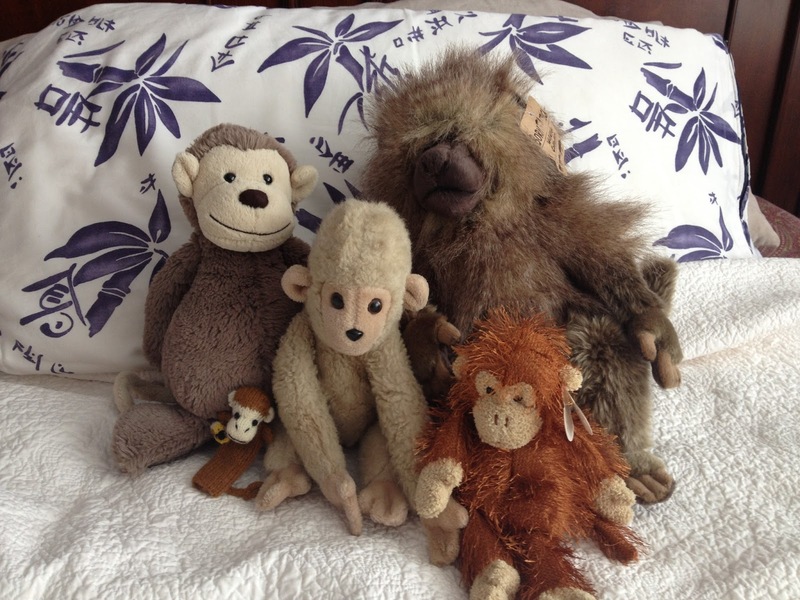 Do this with 5 of any of your stuffed animals, making it 5 Little Animals instead! 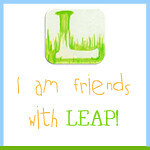 I am also fond of collecting some of the toys and the have really a large collection of them. Your collection of these little monkeys are really cute and very adorable.